Definitely one of our favorite grills! We use our grill all year round, even when it is -20 in the Midwest! This grill does not disappoint! We love to take ours to a lake we take our family to! It don't take a ton of room! It's great we can cook right out near the beach with no problems! I would buy this Grill Time and again! 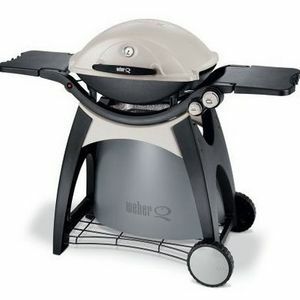 I purchased the Weber Q 300 Portable Propane Grill an absolutley LOVE it. i BBQ all year round. It was packaged well when shipped to me, easy to assemble. very sturdy and well made. heats up nicely and eavenly. i like the light on the handle for cooking late at night and the thermometor on the lid above the handle. 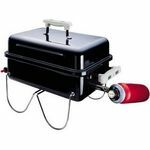 the propane tank fits perfectly on the base and the sides come up, and go down without problem. while up they are very sturdy and can put any heavy plates without the fear of them giving out. to clean is simple and very easy. starter works with one push! i have BBq'd Steak, burgers, chicken, you name it and it all came out eavenly cooked, with no burning! i would recomend and buy this product over and over! The grill is extremely easy to use. Perfect for those who loves outdoor cooking. Extremely convenient, just plug in and the grill is ready to go! it is also extremely affordable. Performance It is extremely fast and foods come out from the grill is extremely tasty. It makes cooking quite a fun affair especially if you are cooking in outdoors. Versatility You can put whatever food in the grill, it will come out as perfect as it should have. Ease of Use Extremely convenient. Just plug in the grill and it will do the work for you. Anyone can cook with this grill. Ease of Cleaning Cleaning is quite fun. Just spray a little grill cleaner, let it soak and wipe it off. Durability I had mine for few months now and it is extremely durable. Works great till now and should last for few years at least. We decided to purchase this grill after buying 2 cheaper and less quality grills purchased before this. We had heard wonderful things about the Weber brand and decided to give it a try. We had put off buying this grill originally because they are a little bit higher priced than other grills. But like the saying goes you get what you pay for. This grill is made out of all high quality parts. The grate you cook on is not cheap aluminum like many other grills. The grate on the Weber is very durable. It is also very easy to clean. 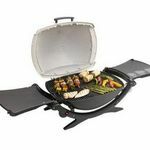 The grill has wheels on the bottom so it is very easy to manuever and move wherever needed. This grill was very easy to put together. It took my husband and I about an hour. There was one piece missing from the box that was needed for the grill. It was the piece that the propane tanks sits on the bottom. We called Weber and they immediately sent a replacement part free of charge. We received it within a few days. Their customer service department is wonderful to deal with. The grill cooks very good as well. Everything cooks evenly and the temperature is easy to control. Overall this is a great product and is well worth the money! I love how easy this grill is to use. Our house has outdoor outlets that let me cook under our patio, and it is marvelous. No longer can my husband say he's the grill master with this grill around. I can use this grill at anytime I don't have fo worry about propane. I just plug it in and grill away! Excellent grill and its very afordable. Performance Food comea out perfect everytime. Tender, juicy and delectable. 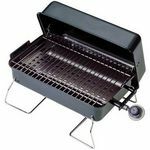 This grill is ideal for care free cooking. Versatility Versatile in the fact you can grill anything on this grill and it comes out perfect. Ease of Use Very easy to use. Its just like using an electric oven. The grill doesn't make you feel overwhelmed. 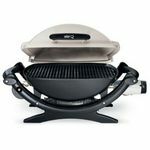 Its very user friendly and any one can be the grill master. Ease of Cleaning Cleaning the grill is very easy. Just spray a little grill cleaner let it soak and wipe off! Durability The grill withstands the elements of being on the porch, but a cover is recomended. 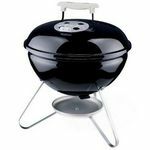 Design Chrome and black make this grill look ellegant in any outdoor setting.